Customers view their decks as more than just outdoor additions. A deck is a place where good times are shared and memories made. Building a deck that will add to a property's curb appeal and stand up to wear and weather calls for wholesale decking materials that provide versatility and durability. At Homestead Outdoor Products, we carry only the top and trusted brands of American-made bulk decking to ensure you can give your customers the highest quality, reliability, and long-term value for their money. Our decking materials meet residential building codes and are backed by best-in-industry warranties. With PVC decking, composite decking, capped composite decking, and a complete line of supporting materials for residential and commercial decks, we can take care of all your decking needs. If you've been unhappy with the selection and customer service offered by other decking suppliers, you'll find working with us a refreshing change. We have a high stocking volume—and if we don't have what you need in stock, our lead times are short. Our friendly, knowledgeable staff is here to answer all of your questions and give you the service you deserve. Contact us today to discuss your wholesale decking needs, and stop by our contractor- and homeowner-friendly showroom to see what we have to offer! Walk on it, play on it, enjoy it to its fullest: Homeowners won't have to worry about scratches or splinters. 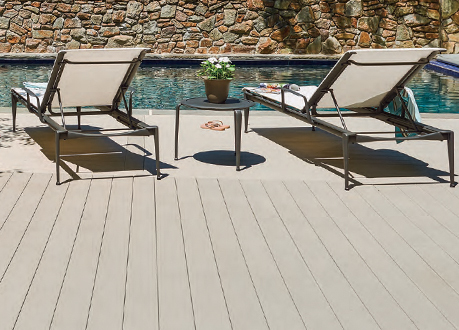 Eat, drink, and be merry: PVC decking is stain-resistant, so drink spills and food splatters (even hamburger grease) need not be a concern. Tell bugs to bug off, because it's also immune to insect damage: We apologize to ants and carpenter bees! Get the look for less: Not only do wood decks demand more maintenance than PVC decking, most hardwoods also cost a heap more. 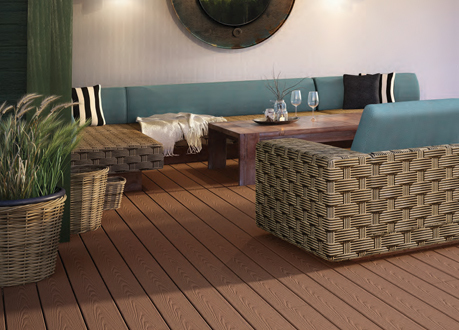 Our PVC decking has a natural wood look and comes in a variety of hues and grain designs. For strength and high performance without compromising curb appeal, you can count on our wholesale PVC decking. With wholesale composite decking from Homestead Outdoor Products, you can give customers many of the same benefits that PVC offers, but at a lower cost. Composite decking combines the durability of plastic with the natural beauty of wood to create an attractive alternative to all-wood decks. Less maintenance: Composite decking requires a good deal less work and attention to maintain than wood decking. Greater durability: Composite decking withstands the elements, maintains its stability, and looks better than wood. Superior aesthetics at a lower cost: Composite decking varieties that look very much like natural exotic hardwoods cost significantly less than real hardwoods. For exceptional performance, our composite decking is capped. Capped composite decking goes the extra mile to resist moisture, mold, fading, swelling, and cracking. It features a tough, durable capstock to protect boards from outdoor elements and provide a long-lasting finish to maintain a great look year after year. Capped composite deck boards resist insects and damage from the sun's rays. They do not need to be treated or stained, and they come with a 25-year limited warranty. Remember, for best results and long-lasting beauty, you'll need to ensure decks have proper ventilation and drainage. Want to make your decks even more spectacular? With Zip-Up Underdeck® system you can finish the underside of decks, expanding homeowners' usable outdoor living space without limiting headroom. Zip-Up helps keep patios clean and dry with its best-in-class rating for severe weather conditions. Zip-Up Underdeck has a watertight interlocking design, is hurricane-tested, meets Class A fire-rating requirements, and is professionally approved. It features easy-to-remove panels for access to wiring and plumbing, etc. Best of all, you can install Zip-Up by putting together its five components using only a few tools in just five easy steps. Customers will love how Zip-Up resists stain, mold, and mildew—and how they can make it complement their décor by giving it a splash of color with latex paint. Ask us about Zip-Up before you begin your next decking project. For the best products and expert guidance when selecting decking materials, contact the Homestead Outdoor Products team. Wolf® Home Products Decking combines innovative manufacturing with 170 years of experience and trust in serving the building industry. With stunning PVC and capped composite decking materials, you get great style, strength and durability, and attractive pricing. What more could your customers ask for? 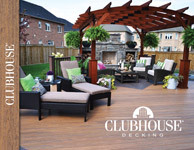 Clubhouse Decking makes long-lasting decking materials with a luxurious natural-wood look that homeowners will be proud to showcase. The decking's proprietary PVC formulation provides superior strength, and you can order Clubhouse Decking in a variety of board styles and colors. 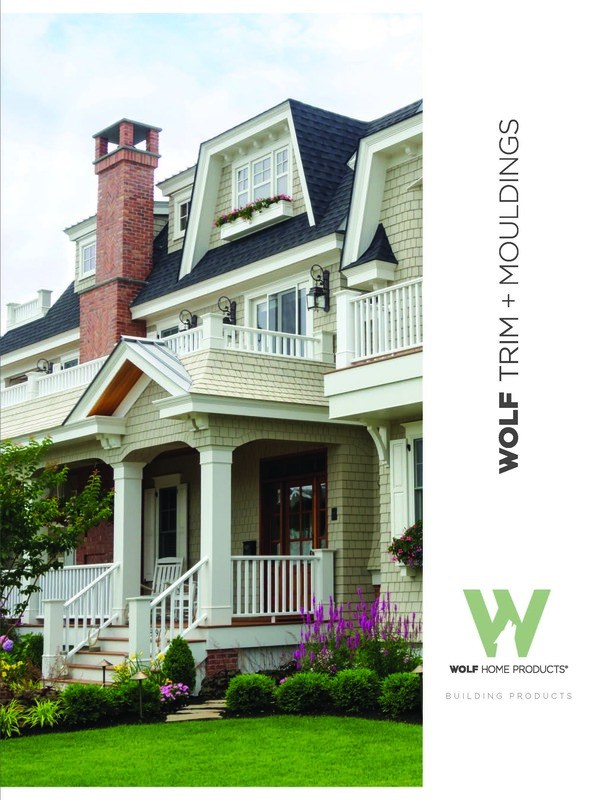 Wolf® Trim and Mouldings are available in smooth, matte, and woodgrain finishes; and are guaranteed not to split, rot, swell, or delaminate even in harsh weather. Palram Palight Trim offers the look and workability of wood without rotting, splitting or fading. Available in a variety of sizes and profiles, Palight Trimboard is easily incorporated into any trim project. 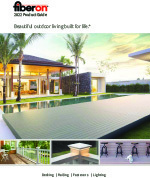 Fiberon® Composite Decking transforms homes' exterior areas into exceptional living spaces. Produced using sustainable manufacturing processes, Fiberon decking is made from recycled materials and contains no harmful chemicals. 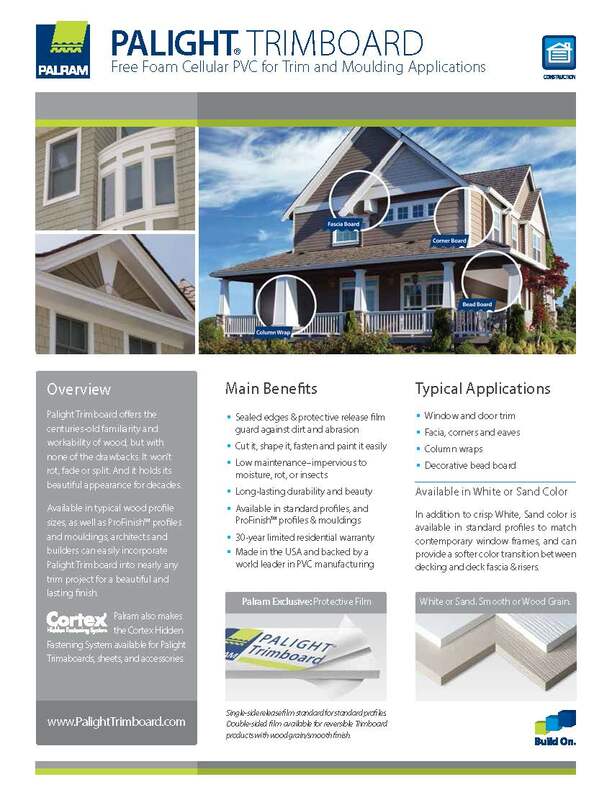 A great look and eco-friendly peace of mind—you can have both with Fiberon.